Many people think of Easter as being celebrated one day of the year: Easter Sunday. 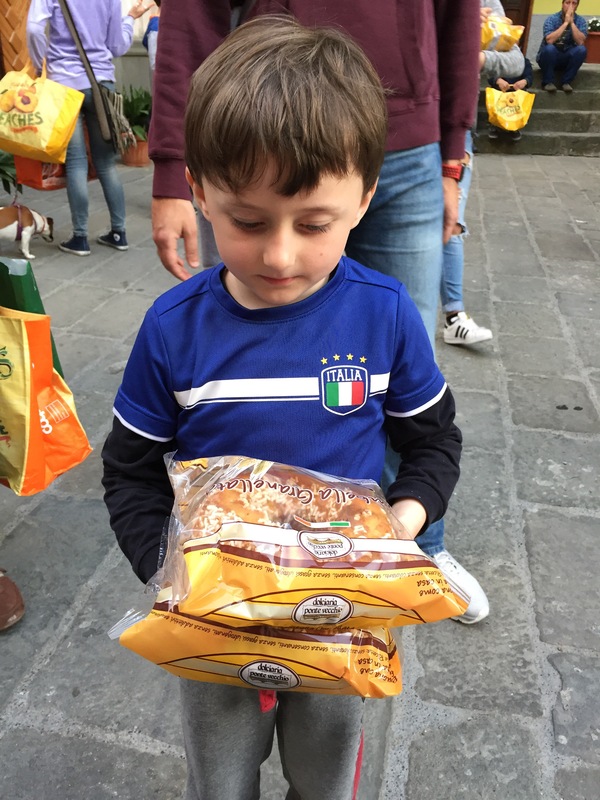 For Roman Catholics, preparation for Easter starts with the Quaresima (Lent) forty days prior. The week before Easter (known as Holy Week) is rich with events and special Masses culminating with the celebration of the resurrection of Jesus Christ on Easter Sunday. 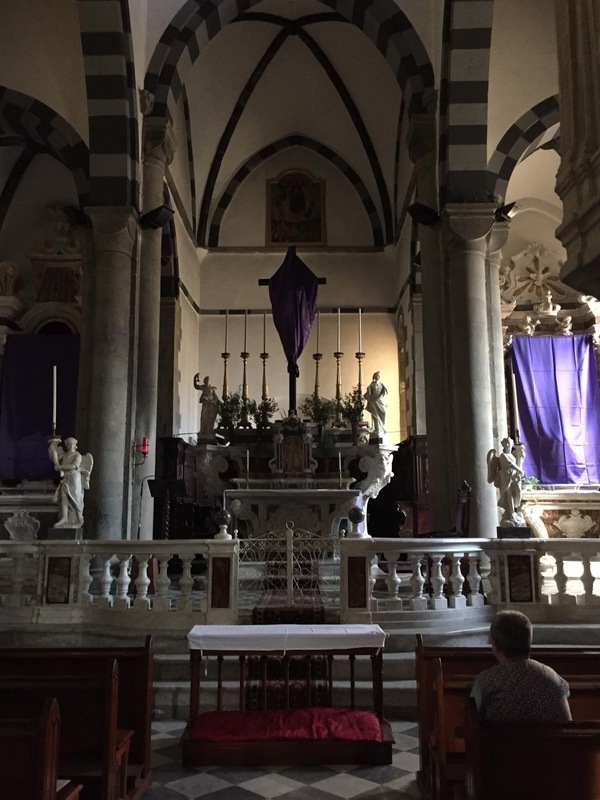 As we are still currently in the period of Lent, you will notice the crosses and artwork in the churches are swathed with purple cloth (purple is the color representative of Lent). These veils will be removed on Giovedì Santo (Holy Thursday). 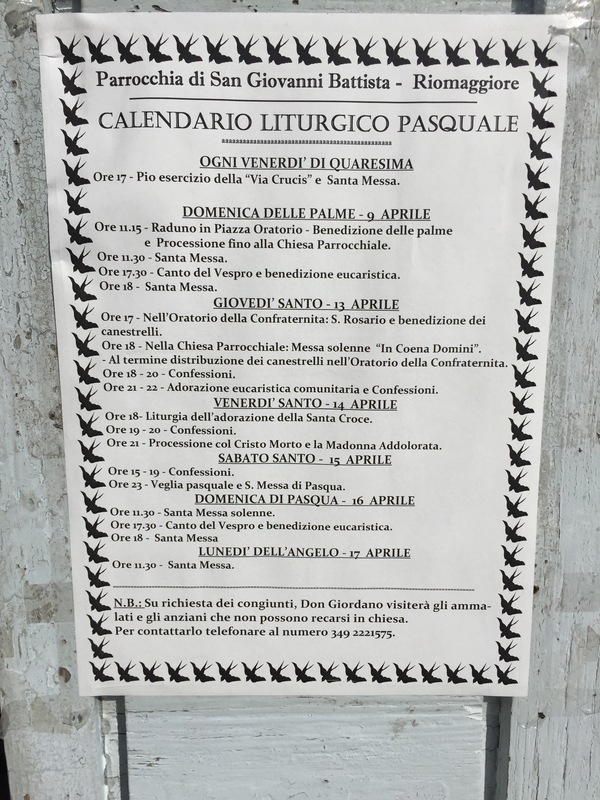 If you are in the Cinque Terre this week, I highly recommend that you attend the Venerdì Santo (Good Friday) religious procession. Whether or not you are Catholic, this solemn procession is fascinating to observe. Riomaggiore’s procession will be on Friday, April 14, at 9pm (it starts on the piazzale of the large church and makes its way through the village and then back to the church square). 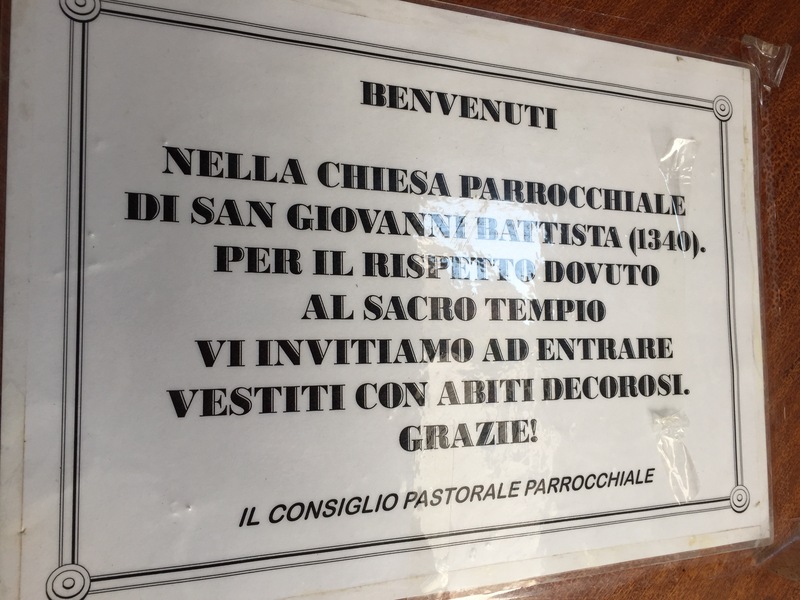 Don’t forget: When entering the church or participating in festivities, a modest dress code is requested (and expected). That means no bare shoulders (today I entered the church with a shawl over my tank top, that’s an easy and totally acceptable solution). 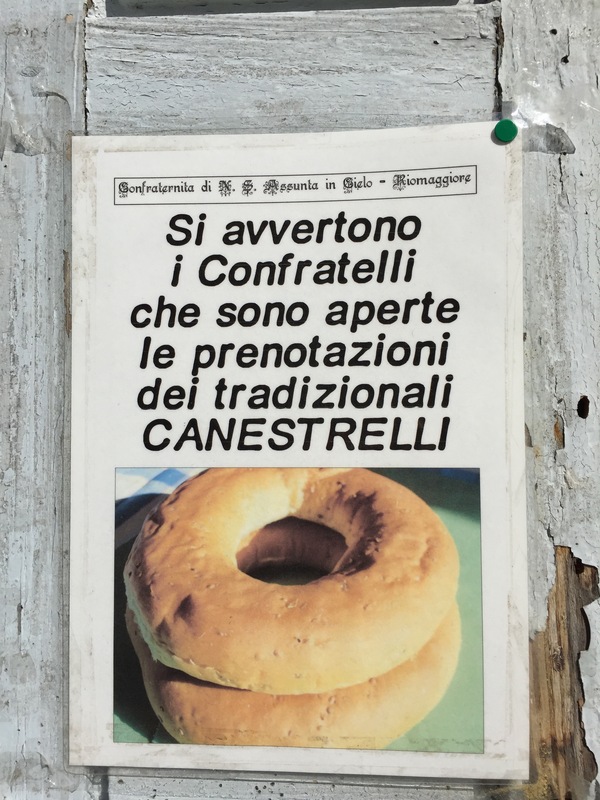 *All scheduled events take place at Riomaggiore’s big church (San Giovanni Battista), except the blessing of the canestrelli Easter cakes (which will take place at the small church located at the Compagnia). Keep in mind that Pasquetta (Easter Monday) is not only a religious holiday but also a national one. Hello! Is the mass going to be in English? Nope, it will be in Italian. However, if you’re Catholic you’ll recognize all the rituals no matter what language they’re in.